Chick-O-Stick's Default Judgment: Empty Calories or Sweet Reward? Chick-O-Stick brings back fond memories. But this is one the manufacturer would probably like to forget. Nothing seems more bizarre than watching Conan O’Brian, Ice Cube, and Kevin Hart stopping off at a 7-11 for snacks while in a shared ride car. Kevin Hart demands Conan get him a bunch of snacks, including the Chick-O-Stick candy. Click here to watch the video. You may be scratching your head as to why Kevin Hart wants Chick-O-Stick, but one bite of it will transport you back to your childhood and the memories of candy that tastes like the inside of a Butterfinger with a hint of saltiness rolled in sweet coconut. 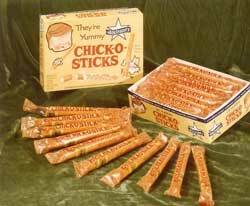 Chick-O-Stick is a candy made by the Judson Atkinson Company out of Lubbock, Texas. The company was started in 1932 by B.E. and Mabel Atkinson. The 4th generation of Atkinson’s still work at the company today. Conan, Ice, and Kevin’s trip to the 7-11 may have been bizarre, but it didn’t have near the twists and turns the Chick-O-Stick makers faced a few years ago when they tried to sue one of their manufacturer’s. They probably thought they’d left their own candy factory behind and unwittingly wondered into Willy Wonka’s. Back in 2002, Judson Atkinson, Inc. (“Atkinson”) filed suit against LMC, an Illinois company that sold confectionary cooking and processing machines, for a defective candy machine. LMC did not appear and Atkinson obtained a default judgment against LMC for breach of contract in the amount of almost $3,000,000 in January, 2004. Click here to read more about what a default judgment is. Now take some Dramamine and hop on the Wonka-vator. This is where the twists and turns come in. Unfortunately for Atkinson, LMC never disclosed that it had ceased operations and conveyed its assets to other entities. LMC’s shares were wholly owned by CIC, a Delaware holding company. CIC’s stock were owned by Barry Carroll and a trust of which Carroll was the sole beneficiary. In the fall of 2002, CIC began trying to sell LMC’s assets and met with Dhiman Industries. In October 2003, Dhiman paid $475,000 to acquire two of LMC’s product groups. Some of LMC’s remaining equipment was sold to Deister Products, a CIC subsidiary, for unknown value. Another CIC subsidiary, Carroll Manufacturing, also purchased some of LMC’s equipment. In 2003, LMC assigned its remaining assets for the liquidation and payment to its creditors. LMC was no longer in business. Atkinson filed a second case to collect on the default judgment in Texas and the law suit was transferred to Illinois. Atkinson alleged LMC fraudulently transferred its assets to avoid its judgment debt in violation of Texas’s Uniform Fraudulent Transfer Act (UFTA). Atkinson also asserted veil-piercing and breach of fiduciary duty theories of liability under which, it contended, CIC and the individuals involved should be found liable for LMC’s judgment debt. (1) inadequate capitalization; (2) failure to issue stock; (3) failure to observe corporate formalities; (4) nonpayment of dividends; (5) insolvency of the debtor corporation; (6) nonfunctioning of the other officers or directors; (7) absence of corporate records; (8) commingling of funds; (9) diversion of assets from the corporation by or to a stockholder or other person or entity to the detriment of creditors; (10) failure to maintain arm’s-length relationships among related entities; and (11) whether, in fact, the corporation is a mere facade for the operation of the dominant stockholders. Atkinson argued that several of these factors were present: LMC failed to observe corporate formalities for failure to file a 1999 tax return and LMC’s funds were commingled with those of CIC and Carroll. Atkinson also argued that because LMC was losing money, it was undercapitalized. 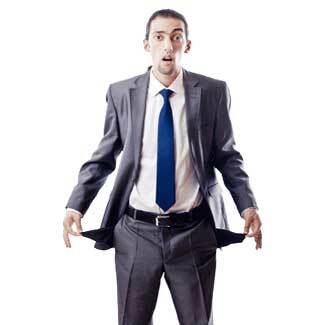 But the Court found a corporation to be undercapitalized only when it “has ‘so little money that it could not and did not actually operate its nominal business as its own.’ ” The fact that a corporation is losing money does not show that it is undercapitalized. The law also required Atkinson to show that failure to pierce the corporate veil would amount to injustice or fraud. Atkinson had to show that CIC, the parent corporation, caused LMC’s liabilities and its inability to pay for them would escape those liabilities; or there was an intentional scheme to squirrel assets into a liability-free corporation while heaping liabilities upon an asset-free corporation would be successful. So did they get the Everlasting Gobstopper or did the judge kick them out like an annoyed Oompa Loompa? What do you think happened? Ask me at one of my Free Legal Forums. Click here to register for the next session.